We definitely care about the amount of compensation that goes to songwriters, but we also pay attention to how artists are compensated. This is why we filed with the Department of Justice (DOJ) in its review of the “consent decrees” that enable songwriter/composer compensation for performances of their musical works. The history of the consent decrees are long and somewhat convoluted, so here’s the Cliff’s Notes version: Beginning in the 1940s, the US government took action to curb the monopolistic tendencies of the Performing Rights Organizations (PROs), which had been found to be abusing their market power. As part of an agreement with regulators, ASCAP (and later BMI) entered into consent decrees that promote competition in the licensing of musical works for public performance. So what is a public performance, exactly? Well, it’s anytime a composition (think notes on paper and lyrics) is “performed” to an audience—whether broadcast on radio or TV or played in a venue by live musicians or as pre-recorded entertainment. Over the decades, the consent decrees kept ASCAP and BMI (and their publisher members) from abusing their market power. Perhaps as importantly, they enabled the growth of both AM/FM and Internet radio, which has expanded the pie for songwriter compensation. (A third PRO, SESAC, remains unregulated, largely due to the fact that it controls a much smaller percentage of the market for songs). Another benefit of the consent decrees is that they help the PROs serve their artist members through 50/50 splits between songwriter and publisher, with direct payment to the writer(s). FMC understands that the major publishers think that they can get better deals by removing partial catalog from the PROs. But even if they do get more money (or equity in the service or other special favors), will any of it make its way back to creators? The point should be moot: two judges have already said that partial withdrawal is a no-go, which is probably why the big publishers have been putting pressure on the DOJ. Of course, when your sector is regulated by the government for reasons of anticompetitiveness, there’s a pretty strong likelihood that the regulators will look into whether you’re still behaving anticompetitively. And that’s exactly what has transpired. We see partial withdrawal as having a potentially damaging impact on the licensing marketplace at a time when music licensing should be easier, not harder. Worse is the publishers’ “nuclear option” of total withdrawal from the PROs. So tell us how holding the marketplace hostage based on your demands is pro-competition? Bottom line: we need PROs, and we need effective ones. We’ve talked in the past about how the PROs offer important leverage to songwriters who would otherwise have none. Under the current arrangement, songwriters are represented in negotiations for the public performance of their music by the PROs (who provide the same service for publishers). The PROs also offer basic transparency, meaning terms aren’t arrived at in secret or hidden behind non-disclosure agreements. 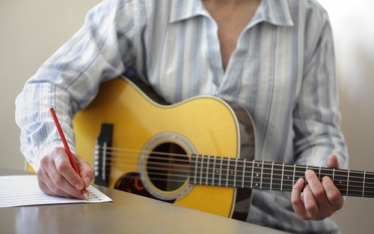 Furthermore, the PROs pay their songwriter members directly and under 50/50 splits. All of the above could disappear if the major publishers get their way. The PROs would likely survive, but they’d most likely do so as the administrative drones for three major music publishers. This is the same argument we’ve made about direct licensing of sound recordings, and it’s why we opposed the mergers of giant music companies who can dominante the music space at the expense of artist compensation and innovation. We’re not the only ones with concerns. Our perspectives have been shared or echoed by the likes of David Byrne, the Music Managers Forum and most recently, Council of Music Creators members Phil Galdston, composer Maria Schneider and composer/songwriter David Wolfer. We want strong third parties that directly represent creators in negotiations, and that are committed to transparency and equitable artist payouts. We have every reason to believe that ASCAP and BMI can continue to serve the songwriter community, but as we told the DOJ, we have grave doubts about their ability to do so if the licensing marketplace becomes Balkanized. Our filing also notes that it’s not just the big media players that would be affected by the elimination of the consent decrees (or their radical overhaul): noncommercial AM/FM radio and Internet stations would also be disadvantaged. These stations help reflect the amazing diversity that is American musical culture. Their ability to do so depends to a large extent on being able to efficiently license music for public performance. They also need to know what they are and are not allowed to play—if the licensing marketplace is fractured, these smaller operators could find themselves courting liability if they don’t know what portions of repertoire are off-limits. Mostly, we care about the people who write the music. You may hear the groups that advocate for the interests of the big publishers talking about what’s good for songwriters, but be aware that what’s good for songwriters isn’t always the same as what’s best for Sony/ATV, Warner-Chapell and Universal Music Publishing. And that’s exactly what we told the DOJ.